and to our deepest selves. 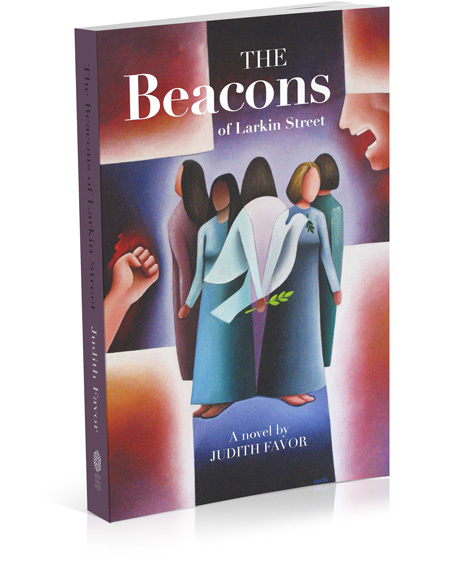 The Beacons of Larkin Street is a Nineteen-Seventies historical novel written by a contemplative feminist great-grandmother, an ordained minister who once pastored a church in San Francisco. Where do you see contemplative perspectives influencing the stories? Feminist perspectives? Grandmotherly points of view? Ministerly perspectives? Set in San Francisco, twelve aspects of the City structure the novel. What connections do you see between the human characters and the character of San Francisco? Tales of The Beacons move between the perspectives of seven women. Do you find the author’s omniscient POV to be confusing, credible, clear, challenging or something else? If Beka were the sole narrator, the reader would get one singular angle on each character. Do you think Beka’s POV would have strengthened the novel? Why or why not? 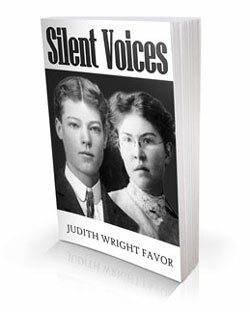 If she were the sole voice, Rev Ruth would have told the story very differently. Would you prefer her first-person voice? Why or why not? Which of Rev Ruth’s difficulties as a first-time pastor give you the greatest insight into her character? The most compassion for her? How about Beka’s efforts to guide things as Saint Lydia’s Head Beacon? 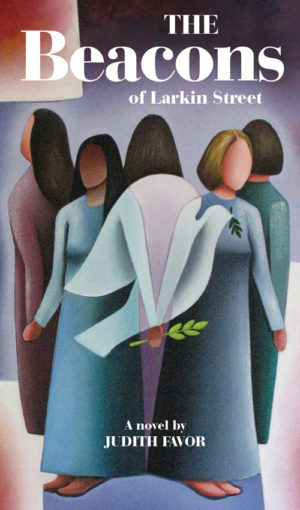 The seven women have different sexual orientations and diverse attitudes about sexuality and spirituality. Did the author convince you that each is justified in her beliefs and practices? Why or why not? In Dot and Rev Ruth’s conflict over communion, do you think the resolution took too long, or came too fast? How might you have done it? Who was your favorite character? What about her intrigued you? Which scene was your favorite? What made it memorable? At the end, several story lines are left unresolved. Do you wish the author had resolved the characters’ dilemmas? Do you think Rev Ruth will live or die? Return to guide St. Lydia’s, or go to Cleveland? What do you think will become of Paige? Dot? Hope and Millienne? Luz? Are there other subplots you wonder about? This is the first in a trilogy. Which dilemmas and storylines do you most want resolved in a sequel? What would you call this category of writing? The Edgefielders is my great-grandmother’s hidden story. 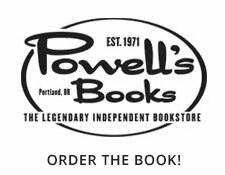 Public records show only birth, marriage and death dates so I composed a biographical novel to knit imagination into these bare facts. I invented scenes and dialogues to illustrate what happened before and during her four years at Edgefield. How does imagination work with facts? Margaret Mary was born in 1869 in rural Ontario and erased from family lore after she died in 1938 at the Multnomah County Poor Farm. I’d not heard of her until Aunt Margo handed me a stack of genealogy documents including a death certificate. Place of Death: Multnomah County Poor Farm. What? How could this be? Who sent my elderly ancestor to an institution for paupers? Stories hold us together but hers had been deleted. I had to find out, even though it felt risky to probe into family shadows and secrets. Remaining elders had erased memories of Margaret Mary and they resented my questions. Shame went deep, it seemed, the shame of allowing Grandmother to end her life on the dole among strangers. I hate to stir up conflict but could not let this go. Someone had to bring Margaret Mary out of the dark and into the circle of light. What did you hope to accomplish here? Beyond telling a good story, my real purpose was to capture the truth of Margaret Mary’s soul and to illustrate the power of mutual spiritual care. The Edgefielders’ tales show how each person – no matter how poor – can contribute to compassion and generosity in the wider community. Where do meditation and imagination meet? In stillness. And in love. Meditation offers a way to be with dread and fury, anxiety and confusion, to stay present to all those vulnerabilities we usually try to avoid. Meditation invites us to see through the surface of things to the light source of everything. Imagination arises from the power of love, the force of love between the generations. In this book, meditative imagination is the active, conscious practice of finding my way – with Margaret Mary – to the heart of Presence and recording what is revealed there.